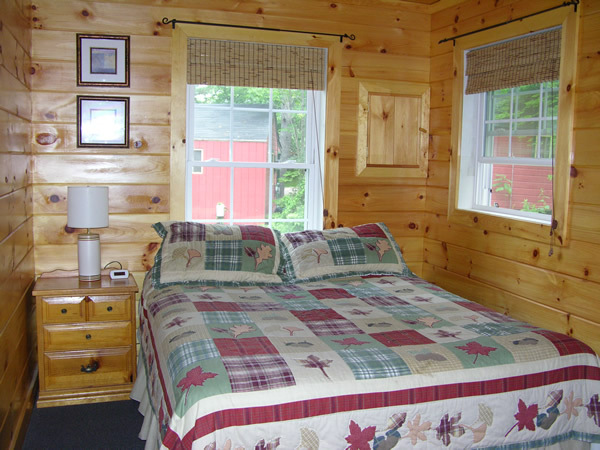 Situated behind cottages #5 and #7 in the back of our three acre facility is one of our three largest cottages (1000 sq.ft.). 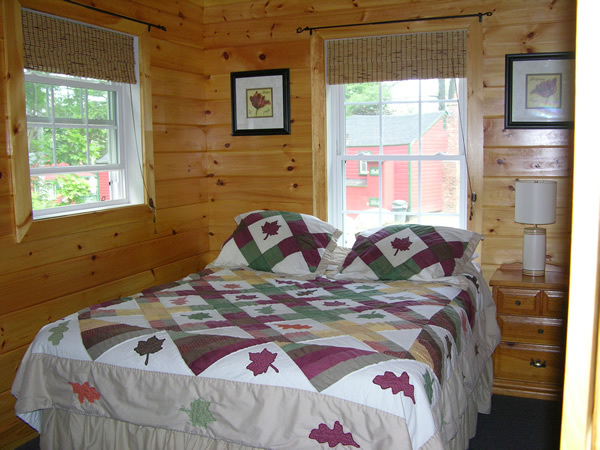 This three bedroom cottage offers two bedrooms with "built-in"full size beds and one bedroom with a queen bed and roll-out cot, bathroom with shower, and a full kitchen with microwave. 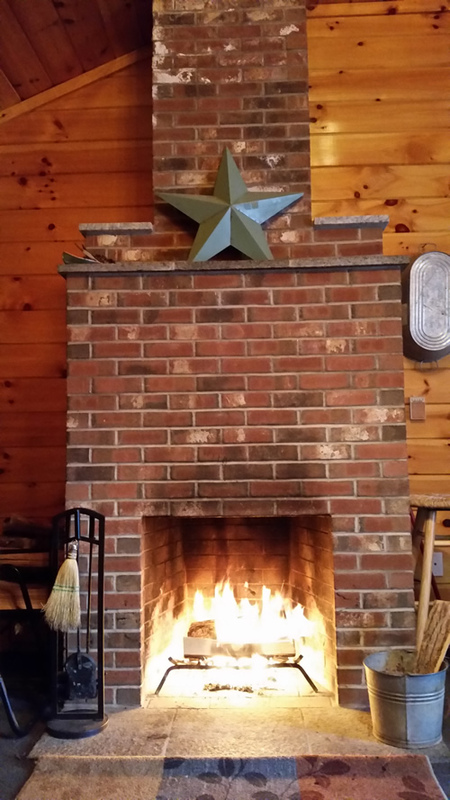 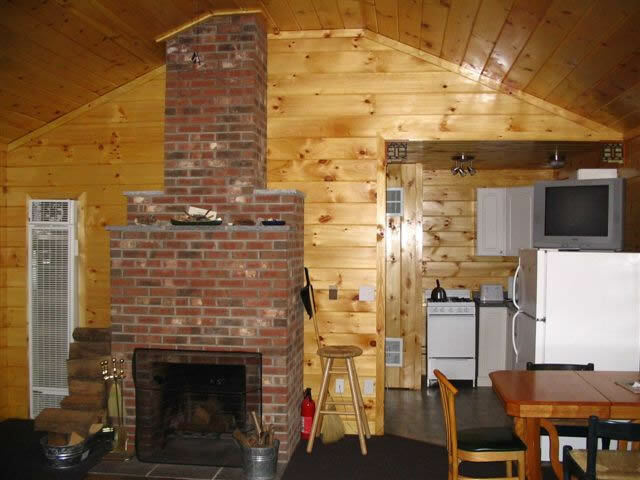 It boasts an open concept living room with a daybed, a futon, and a large brick fireplace with a slate hearth (limited firewood and kindling supplied). 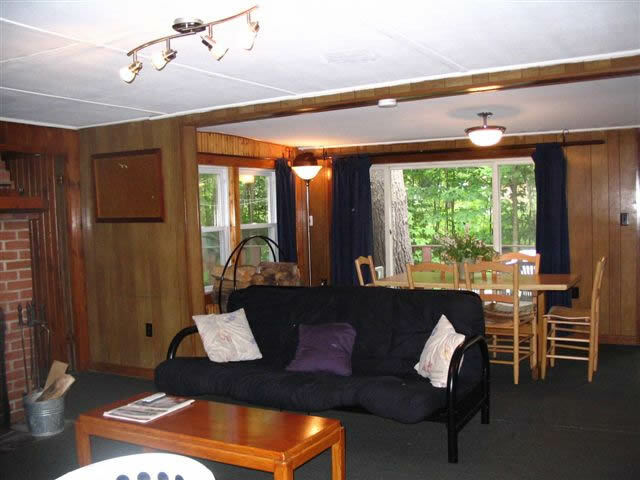 The living room looks out onto a large deck with a gas grill and two picnic tables. 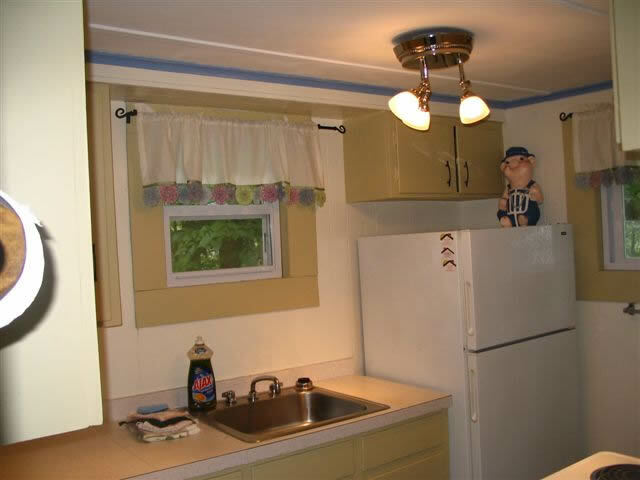 Linens, dishes and basic cooking equipment are provided. 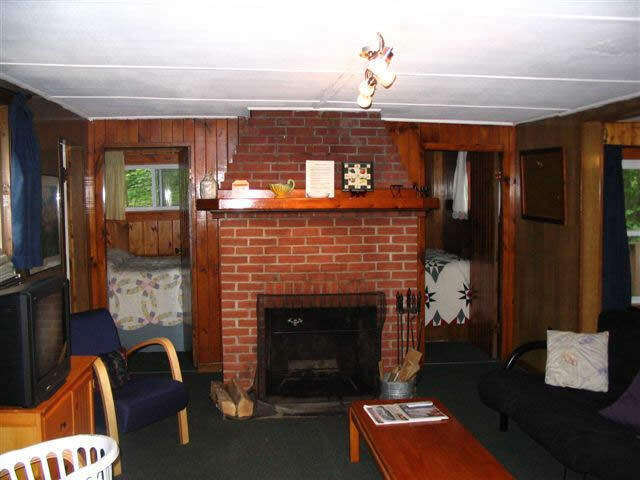 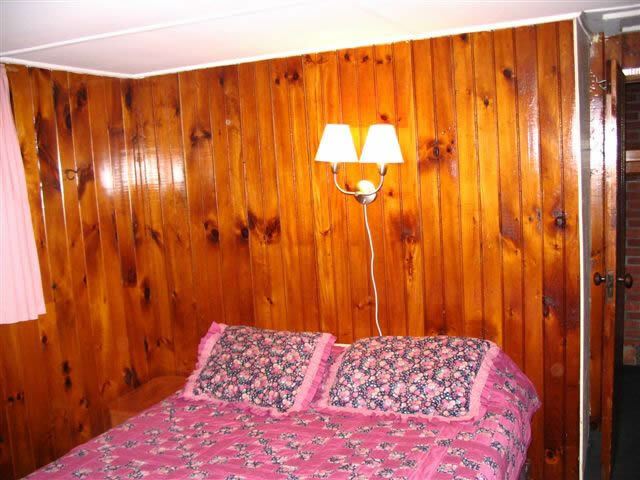 This natural pine cottage is one of our three largest cottages and offers a living room with vaulted ceiling, fireplace (limited firewood and kindling supplied), queen size futon and day bed; three bedrooms - 2 with queen beds & 1 with bunk beds - along with a fully equipped kitchen and bathroom with shower. 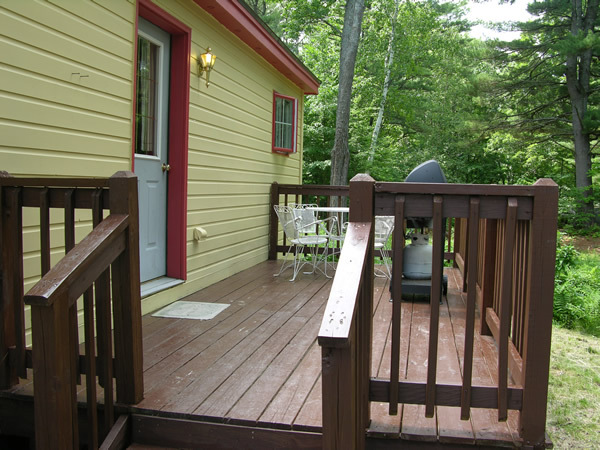 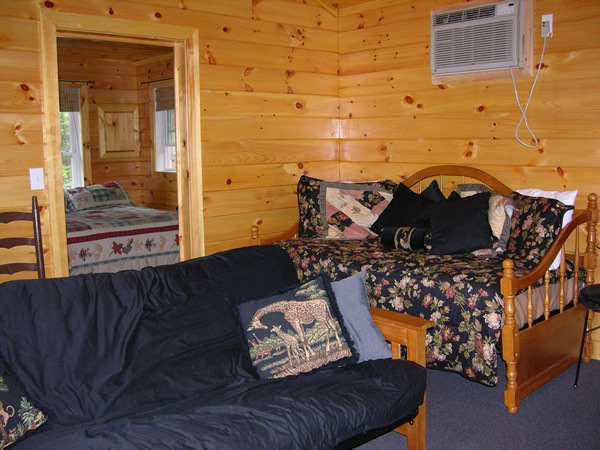 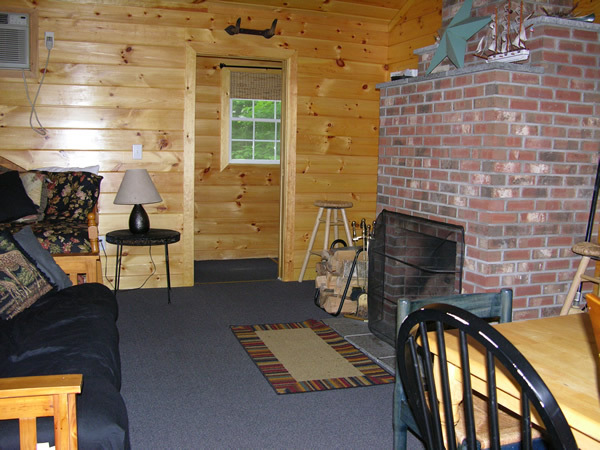 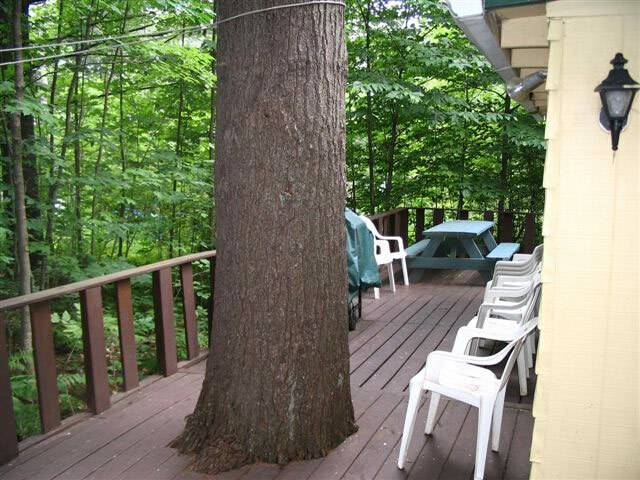 Adjacent to the living area is a large deck with a propane grill and two picnic tables. 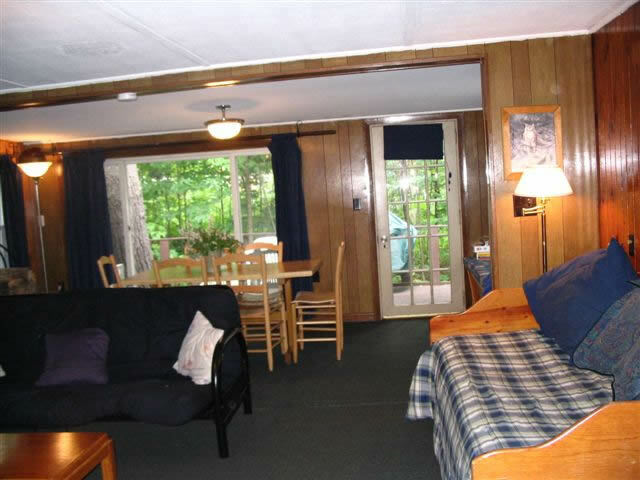 Linens, dishes and basic cooking equipment are provided.